What age is best to spay/neuter your new puppy? Happy 2014! This year I plan to frequently update our blog. 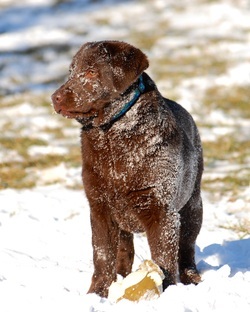 Dr Fran Smith is a veterinarian and a breeder of Labrador Retrievers. 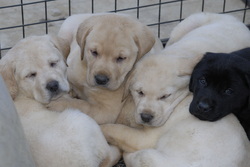 She has put together a video for RetrieverLife.com explaining the differences in types of Labrador Retrievers. 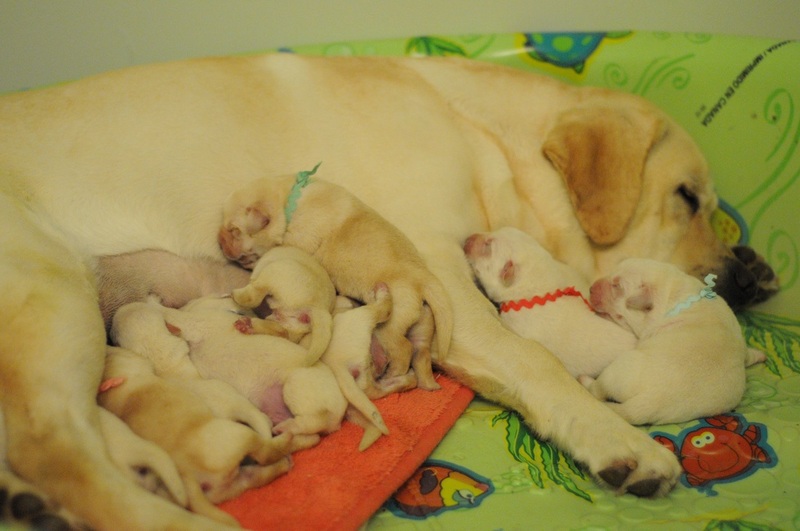 This information is great for families who plan to add a lab puppy to their family. Please watch the video so when we ask you "what do you plan to do with your dog," you can provide an answer. The information will help us pick the perfect puppy for you. You can watch the video at Retrieverlife.com. Sandy is a passionate animal lover. As a child she dreamed of becoming a veterinarian until college chemistry got in her way. Molecular biology became her calling after completing her BS at Virginia Tech in 1989. She went to work in research at Johns Hopkins University and the Penn State University College of Medicine. Her love of molecular biology led to her completion of her MS in biotechnology from JHU. Her career took her to developing quality control assays for research vaccines where is she is now employed. Animals are still her passion and the farm has allowed her to pursue breeding and showing dogs and goats; and keeping a few "hay burners" on the side.